How can my business advertise on Ecosia? 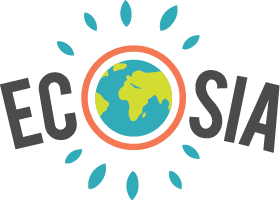 What are the advantages of advertising on Ecosia? Why don't I see any ads on Ecosia? Can I support Ecosia by randomly clicking on ads? Thanks, but don't do it. You should only click on search ads in which you are genuinely interested: arbitrary clicks could harm the advertiser and possibly even Ecosia. There are also algorithms active, which are designed to detect fake clicks and invalidate them. So just go ahead and use Ecosia like any other search engine. If ads seem like they might tell you what you need to know or take you to sites you were looking for, go ahead and click! The money generated from these clicks on ads will help us support our tree planting programs.